The city has agreed to pay $299,000 to settle a Bloomingdale man’s police excessive force lawsuit. 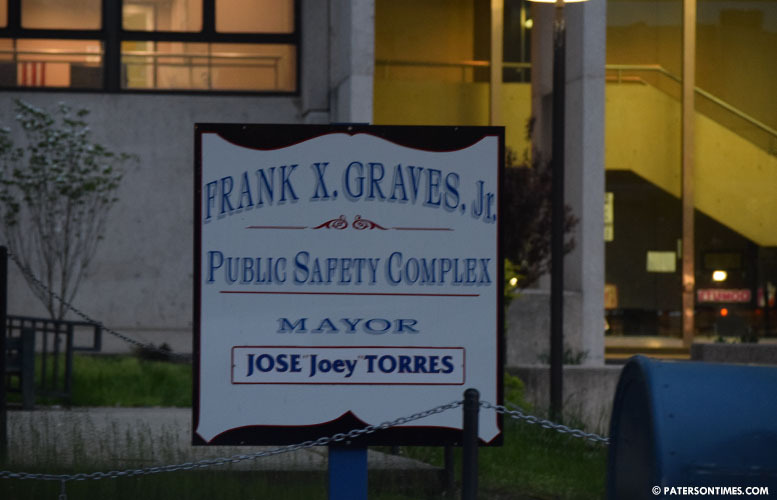 City Council members approved the settlement on Tuesday night following a closed-door meeting with police brass and lawyers. Police officers in unmarked vehicles began to pursue him, according to his lawsuit. Russo was “unaware that the persons behind him were police officers in undercover police vehicles, and under the belief that the persons pursuing him were doing so with the intention of robbing him, sped off in his vehicle,” reads the lawsuit. As he was fleeing police, he sideswiped a parked car, states the lawsuit. Police at the time said Russo drove onto a sidewalk to evade officers sending pedestrians scattering for safety. He was also accused of ramming his car into a police vehicle. Russo was accused of purchasing six glassines of heroin from an alleged drug dealer. Police charged him with aggravated assault for striking the police car, eluding, resisting arrest, heroin possession, and weapon possession for using his vehicle to strike a police vehicle. Detectives tackled him before placing him in handcuffs on Straight Street and Hamilton Avenue. The next thing Russo remembers is waking up in a hospital bed with severe injuries to his head, including a compressed skull fracture, according to his court complaint. Russo alleges police “wrongfully and maliciously targeted, charged, assaulted, brutalized and injured” him. Council members approved the settlement in an 8-0 vote during the special meeting without making any public comments. Luis Velez was not present for the vote. Municipal officials will pay the settlement over three fiscal years to lessen budgetary pain. This says a lot, "Council members approved the settlement in an 8-0 vote during the special meeting without making any public comments." It costs them nothing to speak out against excessive force and excessive payouts, but their silence says a lot. The city council needs to go.They cost us more money by the day with their actions. So now every criminal caught by undercover officers may file a lawsuit? And the city council will just give away our tax dollars? Did this guy dial 911 to say he was being persued to be robbed? If not, I would not give him a dime, and if I knew he was involved in a drug deal, I would not give him a cent.i could understand if this person was innocent and a target of police for whatever reason, then of course they deserve justice, but this case is like a joke.All these rediculous and unnecessary expenses approved by the council will have us all homeless sooner than later. Many are unable to afford to live here as it is. Taxes are higher here than in normal, quiet,clean towns without drug deals and robberies on every corner.Definitely time to move out of Paterson. The Paterson Times need to investigate a bag of chicken wings arrived before the vote for the yes voters. Just saw your reply and had to answer I agree with you. This should not be allow. They must be getting apart of this payout there is just no way.